The levels of security in cities and neighbourhoods is deteriorating quickly. Relying on traditional security systems to ensure your safety and that of your investments is getting harder, almost impossible. By investing in a reliable security system to protect your premises, you will be able to achieve a peace of mind. There is a wide variety of systems available ranging from motion detectors to residential security fencing. Fencing has been used for hundreds of years to keep out unwanted guests and to maintain privacy. People still place importance on the protection of their property, assets and buildings. While we no longer have the castle, the moat and the drawbridge, there has been a design evolution to adapt to changed living conditions and housing structures. 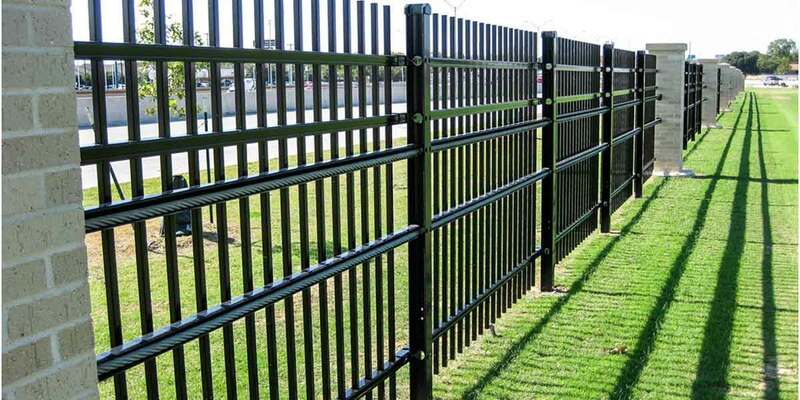 To meet the specific needs of customers, more sophisticated fencing designs are being made. Functional modifications and design changes to fencing are made to the requirements of customers. If a customer requires high levels of security, then a more complex solution will be required compared to premises needing a lower level of security, such as your home. There is also the question of cost. The amount of money you are prepared to spend on security fencing will determine just how good the design and functions will be. If you are wanting high security fencing complete with CCTV cameras, anti-climb mesh, razor wire, and motion detection lighting, then you are going to need a larger budget. Schools, hospitals, commercial buildings and some government establishments usually require high security fencing. Medium security can be used in places like parks, sports stadiums and facilities requiring a lower level of security. Going back to modifications and technical advances, you will find that certain buildings or institutions require acoustic and electrical fencing. Keeping intruders out is the main aim of electrical fencing. Keeping prisoners in is a converse aim of electrical fencing used in prisons and similar detention facilities. Noise levels from traffic and general atmospheric sources is a reason to install acoustic security fencing to keep noise out. With an acoustic fence you get the security as well as the sound screen. Where there is excessive noise such as from construction sites and freeways affecting residential areas, absorption panels can be added. If requested, other security accessories such as automated gates and security cameras can be added to the fencing. Modern fencing these days is made to look aesthetically pleasing to the eye rather than look like an ugly fence.